Notes: Turner B6. 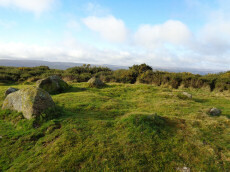 This is an impressive cairn circle with a well preserved ring of large pillars surrounded by an outer kerb ring of smaller slabs on their edges. 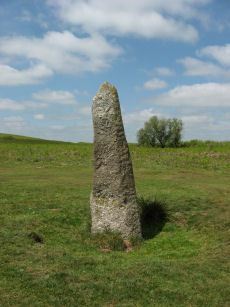 The cairn is 11m. 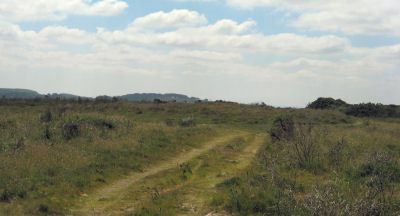 in diameter and 0.5m. 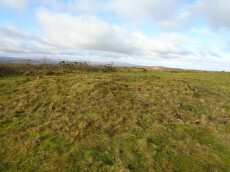 high, with a well preserved cairn circle comprising a 9.0m. diameter circle of spaced uprights averaging 0.8m. high, with kerbing between. 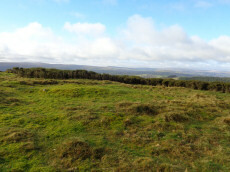 Unlike the stone circle it is marked on the OS Okehampton and North Dartmoor Landranger map (Sheet 191). 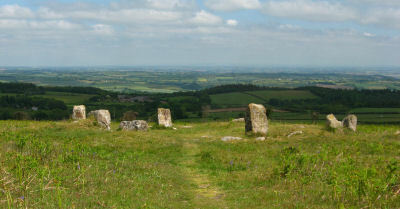 It is easy to confuse this cairn with the less well preserved stone circle which is a few hundred metres to the south. Notes: Turner A10. 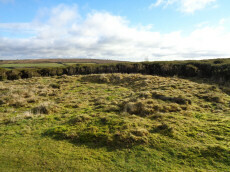 "Circular earthwork, possibly a ring cairn, the north-west corner of which has been destroyed where it abuts a footpath. Internal diameter 13.3 metres with a bank 2.5 metres wide and 0.6 metres high."